Remember the one Golden rule? Many of us have taken it to heart and practice it faithfully. Other “Golden rules” exist as guidelines, to inspire better actions, to frame your mindset. Regardless of your objective, “rules” exist and can be quite practical. 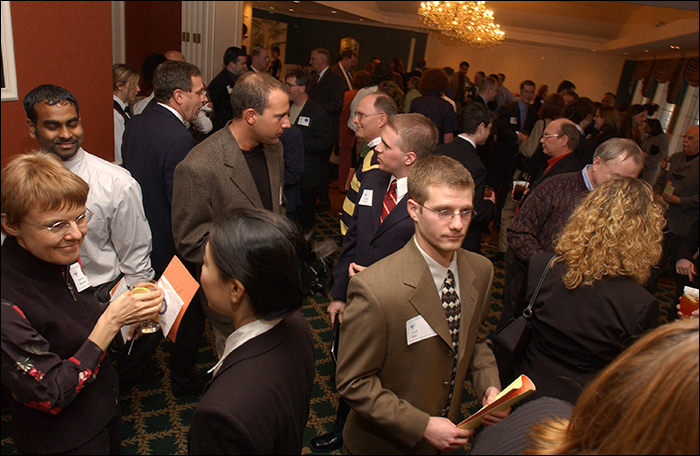 The following are 3 of the very best Golden Rules for planning a business event. The reasoning for doing this is two-fold: Have the goal in mind from the start so that you are conscious of how to make that happen. Defining a specific outcome should apply to even the smallest business event. Golden Rule # 2. Direct the details specifically to your target attendees. Once you know who you want to attend, many options will be up for grabs. Choose the venue that appeals to the audience…. the agenda (panel discussion, roundtable, speed-anything, structured presentations, should please them as well as anything served. If you don’t intend to invite the entire free world, focus on who your target audience member is. Golden Rule # 3. Research the date and time before announcing. Make sure you check the date on many holiday schedules- school, general, religious. What will be most convenient for your attendees? Know what their general schedules might be. For example; is it easiest for the event to occur during work hours, lunch, after work, before the work day, or over the weekend? Trust these Golden Rules to make your business event successful. These are tried and true and found to work. Follow them and then your ultimate success will be more likely and the results far more satisfying.